In this Active Junky Snowboard Buyer’s Guide, you’ll find top boards from preeminent shred brands like Burton, Public, Arbor, Rome, and Capita. It doesn’t matter why you’re shopping for a new snowboard—what matters is that you’re in the right place. 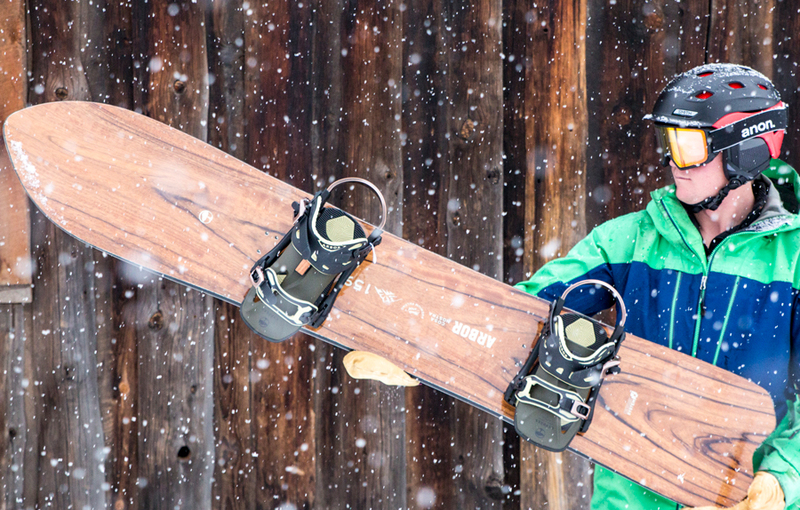 Maybe your snowboard is thrashed, rusted, or riddled with core-shots. Maybe you just aren’t getting the performance you crave from that sluggish, heavier, ancient model. 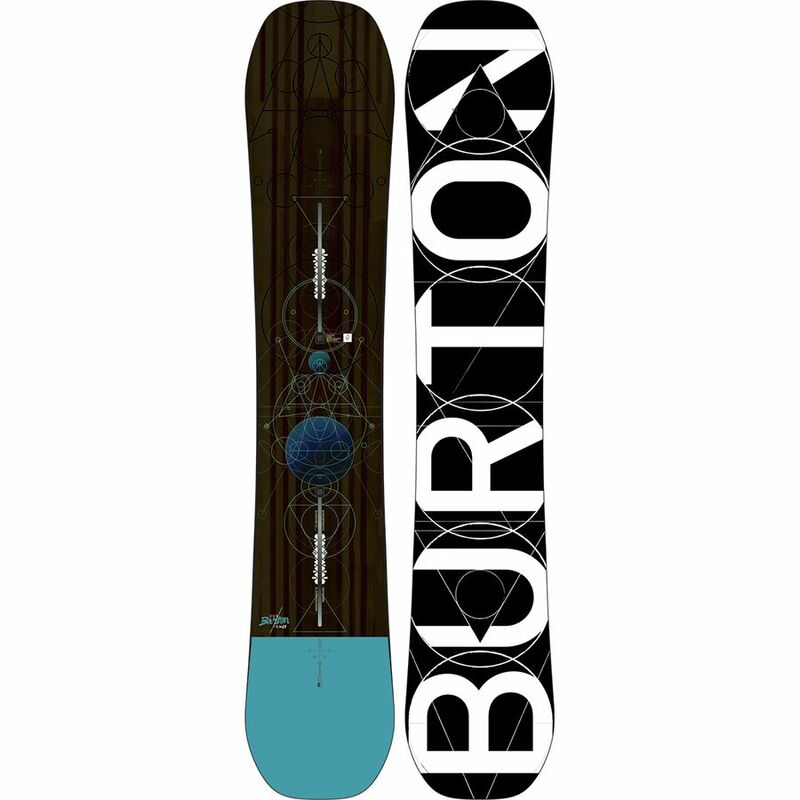 Or maybe you’ve been biding your time, waiting for the next generation of snowboards to drop. Regardless of the reason, 2017/18 is the right time for an upgrade. Why? Well, snowboarding is at an electrifying high. The sport has never been more widespread, the tricks have never been more insane. Every time we think that snowboarding has reached a limit—pros can’t go bigger, can’t spin faster, can’t ride steeper—that limit is eviscerated, and a 17-year-old wins Olympic gold. Of course, snowboarding didn’t get here overnight; this climactic moment is the culmination of decades of progression. And it’s important to remember that it’s not just professional riders who are pushing the limits, but also the shapers and designers who are crafting the boards underneath their feet. When pros have more faith in their equipment, it’s no surprise that the envelope continually bursts. That said, you don’t need to be a pro rider to enjoy the best snowboards on the market. In this Active Junky Snowboard Buyer’s Guide, some of the decks follow more traditional recipes as far as shapes and profiles go, while others are funkier, out of the box, futuristic. Before you get overwhelmed—picking a new snowboard can be a daunting task, after all—we’ll break down some key points to help you understand everything from snowboard sizing, shapes, profiles, flex, and more. Then, we’ll dive into reviews of specific boards. A quick breakdown to point you in the right direction. 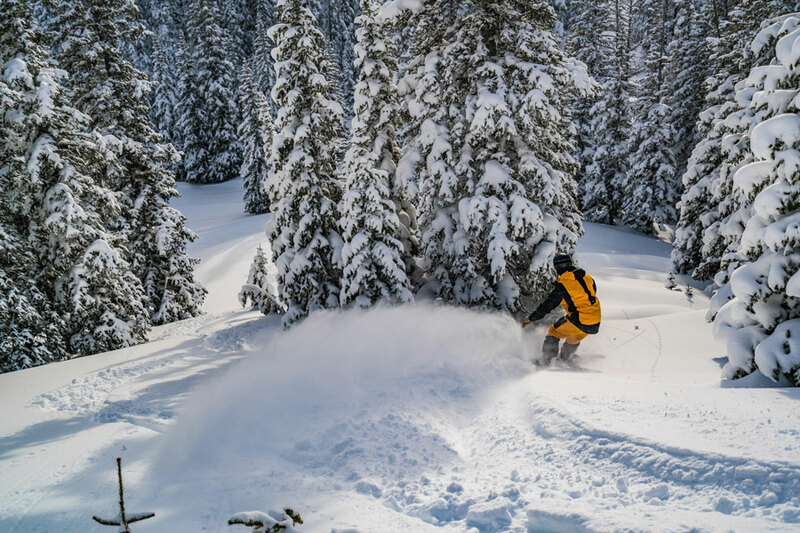 Pow: For a powder-lover, it doesn’t get better than the directional Cosa Nostra’s reclined rocker profile, setback stance, and gargantuan nose. Park: The Public Darrell Mathes Display is a flat deck isn't designed to stay flat for long: pop is abundant, jibs are a delight, and best of all, this board has all-mountain capabilities. 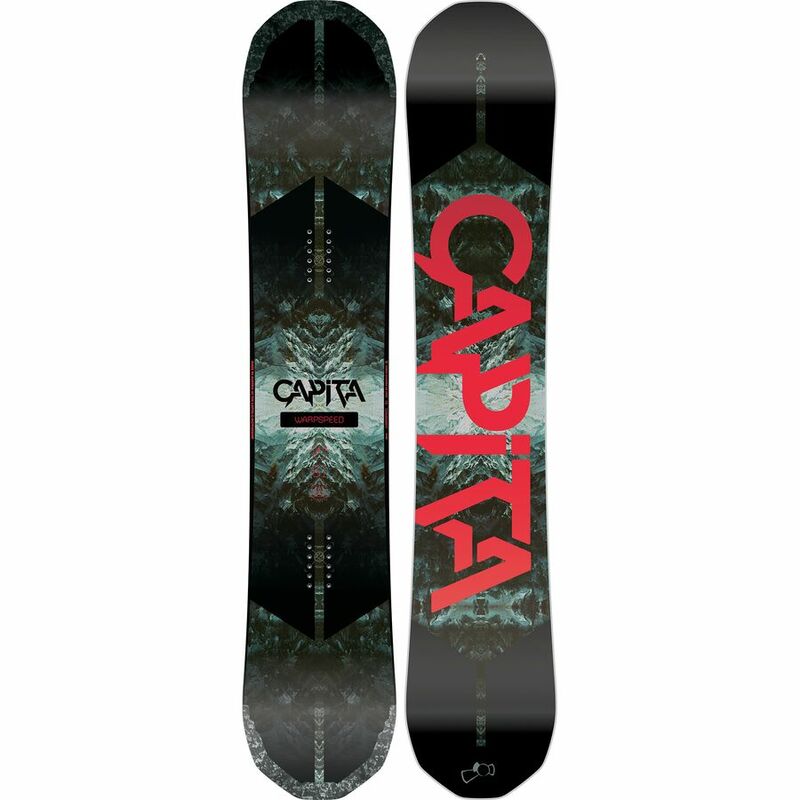 All-Mountain: For an all-around crusher, the hard-carving, ollie-snapping Capita Mercury was our testers’ favorite. 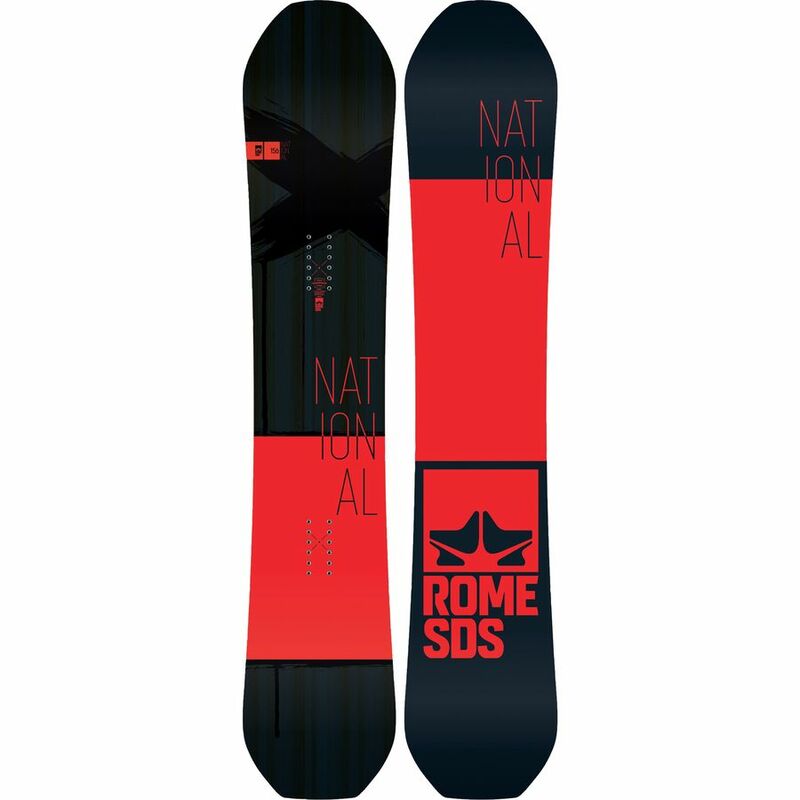 However, the Burton Custom and Rome National each deserve consideration as well. Wide Board: Having trouble with toe drag? Go with the Warpspeed if your feet are on the large side. Consider the following three questions a funnel: they’ll help you narrow down your snowboard decision-making. We’ll start by breaking down your ambitions around board and terrain types. Then, we’ll give you a basic run-through of relevant technology. Finally we’ll give you some tips on sizing. If you’re familiar with these topics, feel free to skip down to the board reviews. How Do I Narrow Down Choices by Type and Terrain? This sounds obvious, but different boards are designed for different objectives. A snowboard that performs well in the park is probably not your best bet for a big mountain line, and vice versa. Some boards are specialized: a swallow-tailed gun is built for floating arcing turns down powder glades; a soft, jibby twin is namely built for presses on rails and boxes. Other boards are versatile: a mid-stiff directional deck might be tuned to take on the entire resort. All this to say that there are hundreds of boards that are designed for a multitude of purposes. One of rapper Tupac Shakur’s most famous songs is titled “Ambitionz az a Ridah.” Snowboarders have much to gain by considering this lyric before purchasing a snowboard. What are, as Tupac rapped, your ambitions as a rider? What kind of riding do you want to do? How often do you ride different terrain types? Do you skip the park in favor of groomers? What about cliffs, couloirs, and chutes? Do you live for powder days or half pipes? Is the entire mountain your terrain park? Do you ride it all? As much as possible, you want to come into this process of buying a new snowboard with an understanding of what it is you like to ride. If you are unsure about what type of terrain you like to ride, we recommend an all-mountain board like the Burton Custom. Boards in this category can handle it all. 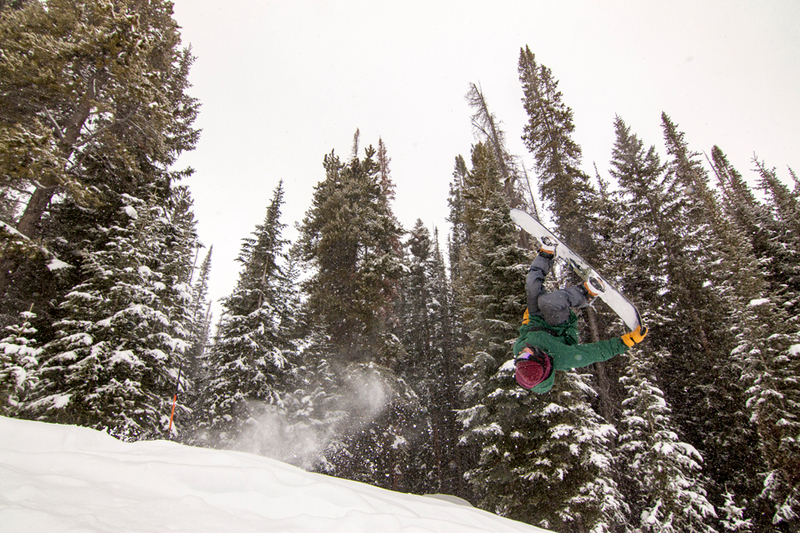 Freestyle: Terrain park enthusiasts look for boards that excel in the freestyle category. These boards are generally but not exclusively twin shapes, and they can come in a variety of camber profiles and flex patterns fine-tuned for different objectives within the terrain park. They tend to be softer, more flexible, and poppier. All-Mountain: “All-mountain” covers a broad range of snowboards, from soft-flexing intermediate boards to hard-charging directional decks that can stomp enormous park jumps. Most of the boards we test fall into this all-mountain category, as most riders don’t have a quiver of boards, and instead rely on a single board day-in, day-out and henceforth prefer the Swiss Army Knife versatility of the all-mountain category. Freeride: Speed and stability are key in this category. 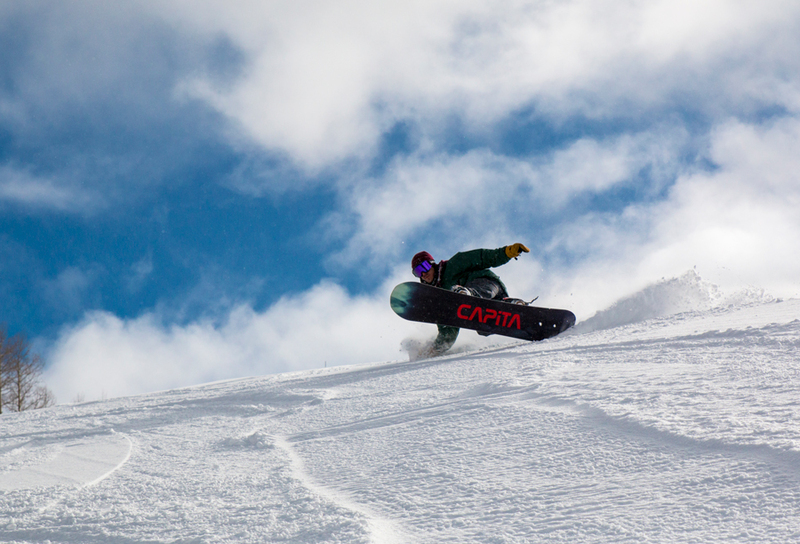 Freeride shapes are often directional, meaning the nose is pronounced in comparison to the tail. They also tend to be stiffer than their freestyle compatriots. That said, softer, playful, slashy, surfy powder boards also fall into this category. These boards aren’t designed for the terrain park. How Do I Pick Shape, Profile, and Flex? Snowboard design has never been more advanced—or more nuanced. While it’s important to look at the big picture when buying a board, don’t brush off the little things: seemingly microscopic differences between boards can make a big difference in ride feel. The following breakdown of snowboard vocabulary and technology may be overwhelming, but if you can, read through it. You’ll gain a basic understanding of board shapes, profiles, flex, and more—and it will only help you fine-tune your search. Also, if there’s a technical phrase you don’t understand in a board review, feel free to jump back to this section—chances are we’ll touch on it here. Twin: If you cut a twin board in half, each side will look exactly the same, as the tip and tail are indistinguishable from one another. Freestyle boards tend to rely on this shape, as they best facilitate riding switch. Directional: While twin boards can be ridden both ways, directional boards are designed to be ridden with the nose up front and the tail in the back. Riding switch isn’t out of the cards on a directional board, but it’s definitely trickier than on a twin shape. The hole patterns may be “setback” on directional boards, meaning the bindings will sit slightly towards the tail—this can help provide stability and float while improving turning ability. Directional boards typically (but not always) have stiffer, stubbier tails and softer, longer noses. Freeride and all-mountain shapes most often utilize this design. Directional Twin: When twin shapes have a directional flex pattern, or directional boards have a twin flex pattern, they’re known as directional twins. Manufacturers mix and match flex and shape to enhance certain aspects of board design. For example, a twin shape with a directional flex pattern might offer more turning stability than an average true twin shape, or a directional board with a twin flex pattern might be better suited to ride switch than a directional board with a corresponding directional flex pattern. Asymmetrical Shapes: In recent years, asymmetrical designs have become hot ticket items. Since snowboarders are, unlike skiers, positioned sideways, the logic stands that we treat heelside turns differently than toeside turns. In fact, most snowboarders notice that toeside turns are much easier to initiate than their weaker heelside counterparts. By making the core softer and more forgiving at the heel and/or implementing a shorter heelside sidecut, board manufacturers are enabling riders to balance out the anatomical differences between turns. There are two types of flex to a snowboard: longitudinal and torsional. Longitudinal Flex: runs the length of the board and is directly related to the amount of pop a board provides. Think of this as the vertical axis of flex. Torsional Flex: occurs at the torso, or the waist of the board, and is most directly related to a board’s turning ability. Think of this as the horizontal axis of flex. The sidecut refers to the depth of the curve along the board’s sidewalls (measured by the radius of an arc). Sidecut directly relates to turning ability: a shallow, long sidecut makes long, gradual turns while a deep, short sidecut turns more sharply. Of course, these days there are progressive sidecuts that combine the two (shallow and deep arcs) as well as boards with multiple contact points (think Lib-Tech’s Magne-Traction) where the sidecut is engineered from multiple arcs. When we talk about a board’s profile, we’re discussing how it looks if you lay the board flat, close one eye, and look at it from the side. Shape is an important factor to consider when analyzing how a board will perform in various conditions, but the conversation is incomplete without discussing a board’s camber profile, as this is the true determinant of how a board will engage with the snow. It’s also crucial in determining a board’s effective edge, i.e. where the board is in contact with the snow. Camber: When a snowboard with a traditional camber profile lies flat, the center of the board is raised while contact with the ground is made outside of the binding inserts, like an upside down “U.” Camber naturally arches upward and flexes downward under pressure, putting the board’s edges on snow and improving both grip and turning control. The release of this downward pressure adds to the board’s pop. Rocker: The polar opposite of camber, rocker naturally arches downward and flexes upward under pressure (a regular “U” shape, as it were). When lying flat, rocker snowboards have a single point of contact between the binding inserts while nose and tail are raised. This keeps the board’s edges off snow, adding playfulness and improving float in deep snow. Rocker is also known as reverse camber. Hybrids: Many snowboards are engineered with both rocker and camber, sometimes even multiple instances of each. For example, a board might have rocker in the middle of the board and just outside the feet, with camber sections in between. Different combinations allow boards to excel in distinctive conditions and terrain. How to Size Your Snowboard? If only there were some magical formula to figuring out snowboard sizing! Unfortunately, it’s a complex and imperfect art, as it’s namely a matter of personal preference. However, there are a few things you can consider to make finding the right size a little bit easier. Height: Back in the day, if the board was between your chin and nose, that was considered an apt enough fit. While it’s helpful to start there to get a general sense for snowboard sizing, it’s important to dive deeper. Weight: Your height doesn’t tell the whole story. It’s much more important to consider weight. Logically speaking, you’ll size up if you’re on the heavy side, size down if you’re a featherweight. Check out this table from our good friends at Backcountry for a weight-based approach to snowboard sizing. Width: Do you have big old boots? Check the waist width of the board you’re looking at. Depending on the model, you may need to consider sizing up into a Mid-Wide or Wide board. Riding Style: Riding style is everything. Freestylers size down for spins and jibs, freeriders size up for stability, speed, and float—all-mountain riders hang in between. Surface Area: A new generation of retro, surf-inspired shred sticks are putting more volume in the waist of the board, with less of an emphasis on length. The same float is delivered in a surfier, whippier package. Size down, and slash to your heart’s content. Each board we test is evaluated against five major attributes. We then select one key attribute in which each board excelled, and listed it below in each board review. Does the board snap off the lip of a jump? On flatground, can it pop an ollie with ease? Freestyle boards often score well in this category. Can this deck ride out of sketchy landings? Is it trustworthy in no fall zones? When push comes to shove, is the board you want underneath your feet in a hairy situation? Directional sticks often score high here. Can this board lay a trench across fresh corduroy? Does it carve well? Does it instill confidence to rail turns or does it scrub out and leave you wanting more? Let’s talk powder. Does the board keep your legs from burning up after a run in the deep stuff? Does the camber profile allow the board to be easily engaged in powder, or do you need to muscle it around? Can it handle the cliffs, the park, and everything in between? Is it a relentless workhorse, or does it shy away from certain zones of the resort? All-mountain boards do well in this category. 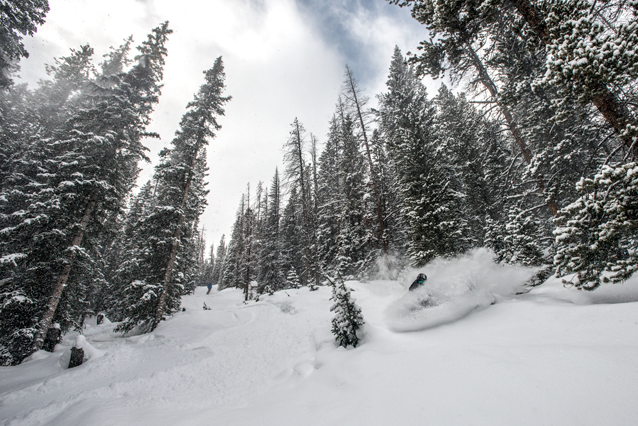 While we’re waiting for the Colorado mountains to get blanketed with snow, have a look at our 2017/18 snowboard previews to see what’s new and what we’re excited for this season. 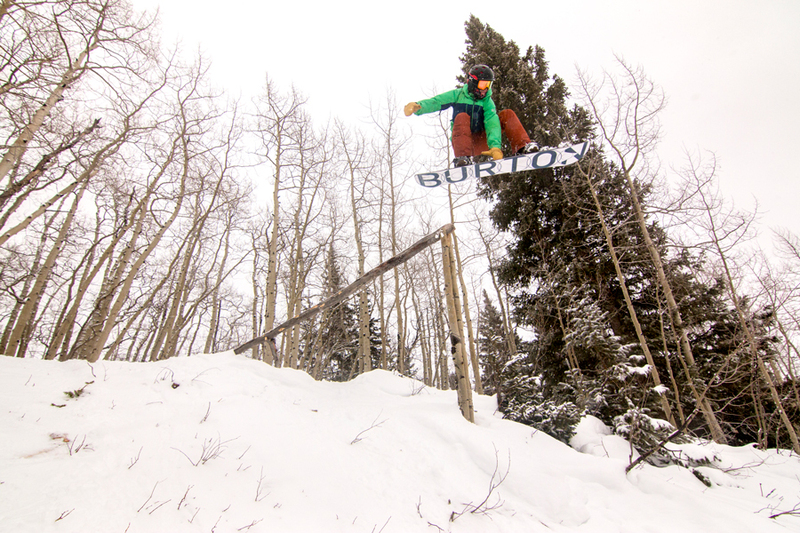 Ask any longtime snowboarder: chances are they’ve ridden a Burton Custom before—and loved it. The Custom has been a part of the Burton lineup for over two decades: since ’96, the Custom’s all-terrain versatility has made the deck a favorite of shredders who want and need one board for every single day on the mountain. The capable directional shape has an almost imperceptible setback stance, equally wide nose and tail, and a twin flex, meaning that the Burton staple can tackle straight lines and still spin and stomp switch in the park. Burton offers the Custom in two camber profiles: the classic, traditionally cambered Custom (better edge hold, preferred by hard-charging pros who lay lines in the pipe), and the hybrid, rockered Custom Flying V (more float, more playful, better in pow). Both boards are hot off the press for 2017/18, and either way you decide to ride, these Burton decks make sweet single-board quivers. Why We’re Stoked: After more than twenty years, the Custom’s always a favorite. Expectations are high. Testers hope to be happily unsurprised by this board. Cosa Nostra translates from Italian into “Our Thing,” and it refers to the Italian mob: the crime syndicate responsible for racketeering, smuggling, and extortion—not to mention Hollywood hits like The Godfather, Goodfellas, and The Sopranos. 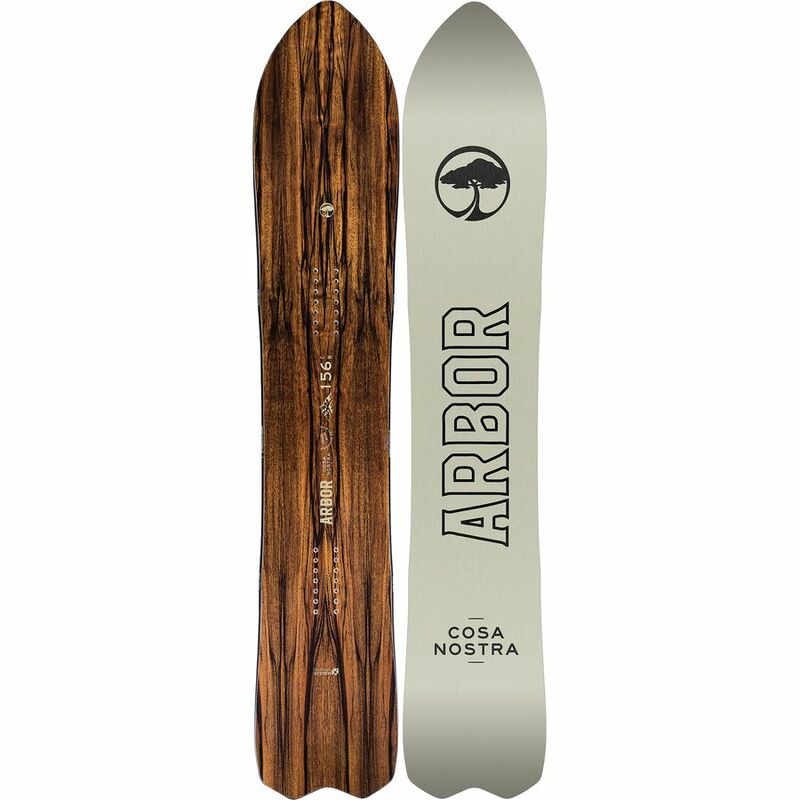 With a beautiful reclaimed wood topsheet, parabolic rocker, an arrowhead nose to supply float through pow, and a butter-friendly flex pattern, Arbor’s Cosa Nostra seeks to uphold a famous mafioso aphorism: once you’re in, you’re in. Arbor is for life. This deck is for life. Or rather, at least until you blow out an edge or get an unfixable core shot. Why We’re Stoked: Arbor’s System rocker profile pairs so well with a stubby tail and a long, sharp nose—the discontinued Shreddy Krueger was one of our favorite boards in their lineup, and the new Cosa Nostra has taken Shreddy’s place. Much like its planetary namesake, the Mercury is out-of-this-world. Testers voted this as one of the best all-mountain boards of 2018 due to a caliber of versatility we crave yet rarely find. Active Junky’s not alone in this assessment, as major shred publications like Transworld and Snowboard Magazine have awarded the Mercury top marks as well. Why We’re Stoked: This board crushes everything in sight. Our go-to do-it-all deck. Dragging your hand on a turn? Awesome. Dragging your toes on a turn? Awful. Big feet can make purchasing a snowboard a nightmare. By the time you find that deck that has all the features and traits you’re looking for, chances are, it’s a bit too narrow. 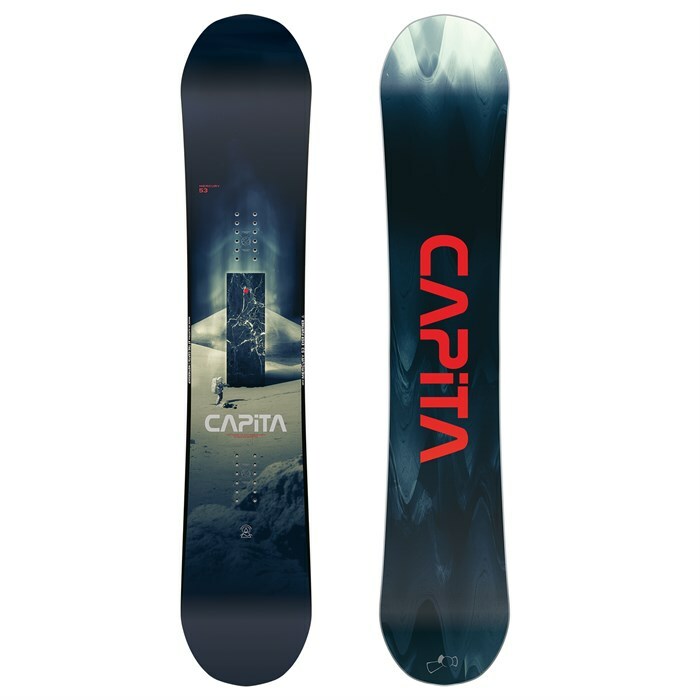 For folks who don’t have Shaq-sized feet but are still on the larger-than-convenient side of the spectrum, Capita’s Warpspeed is an excellent mid-wide ripper. Why We’re Stoked: If you have a size 11 or bigger, get off that regular deck and hop on a Warpspeed. You can thank us later. We had a chance to play with this Public Darrell Mathes Display this past spring—and we’re stoked to continue testing it into the early season of 2017. We’re anxious to check out the board’s performance in powder, as it excelled everywhere else so far. The flat-based deck is a lightweight and whippy wand in the park, casting magic spells on boxes, rails, jumps, and jibs. But what’s most surprising about this board is its ability to rail turns like an all-mountain board. For transfiguring the entire mountain into a jib festival, this is a deck you want to consider. 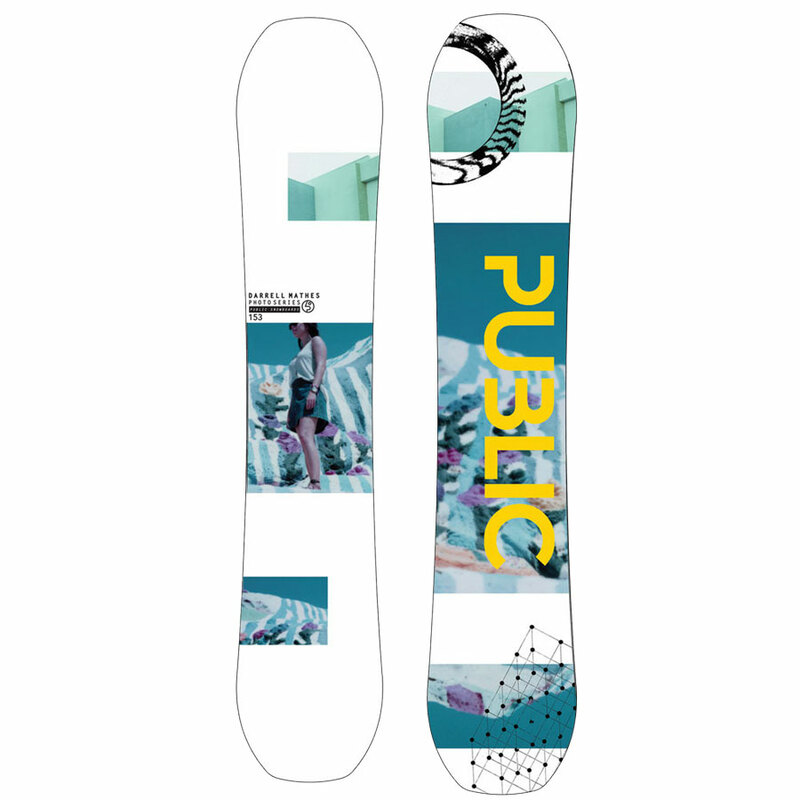 Plus, Public is a small, core company—the kind of company that contributes to (rather than leeches from) the lifeblood of snowboarding. Why We Love It: It’s a jibby jump board that excels way beyond the boundaries of the park.